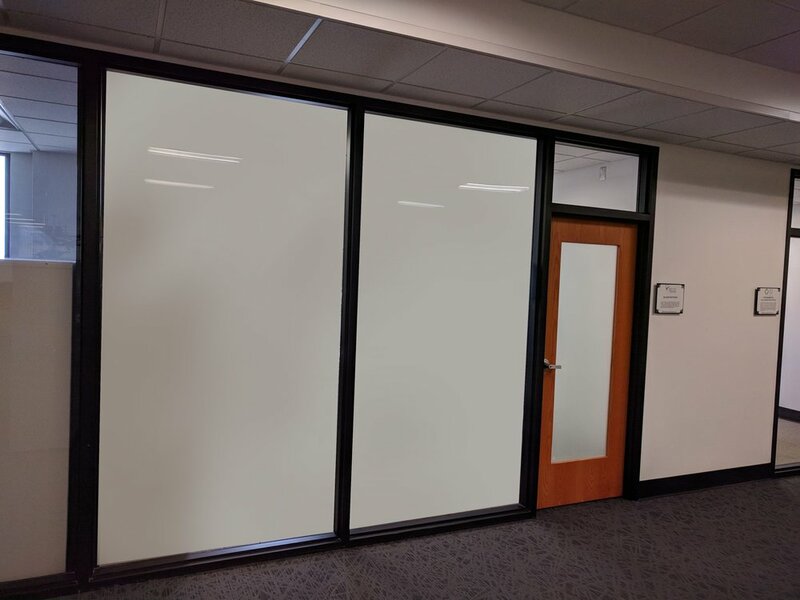 Switchable Glass changes from clear to opaque to provide privacy-on-demand. Is the information you share in meeting rooms at risk due to a lack of visual privacy? Do your patients feel like they are on display in your ICU or exam suites? Do mechanical blinds, curtains or shades create an unhygienic environment in your healthcare facility? Do you lack privacy in your urban, all-glass environment? Do you want auto window tinting that is unique, stands out from the rest and protects you and your car's interior from damaging solar rays and prying eyes? Are you looking for a unique way to advertise your business or services on to your glass storefront? DGP's Switchable Privacy Glass and Switchable Privacy Film is a PERFECT SOLUTION for each of these problems. Contact us TODAY to ask how we can help. DGP's Switchable Privacy Film can retrofit on to existing glass or can be used in new construction. All power supply components are UL listed. Re-seller inquiries are welcome. Reach us at sales@dglassp.com; (414) 433-7076 (office); or (414) 552-4161 (sales direct line).